This is good news, one of those you'd want to wake up in the morning with. We've just found out that Facebook videos (the Facebook ones, those who used to be played in Flash. Youtube videos were already supported) are now iPad compatible, as you can watch them from your new magical device using HTML5. It seems like this applies for new and recent videos, as some of them still give me a "You need Adobe Flash installed" error. Anyway, it's good to see websites are slowly adopting new standards and "getting rid of the crappy stuff". 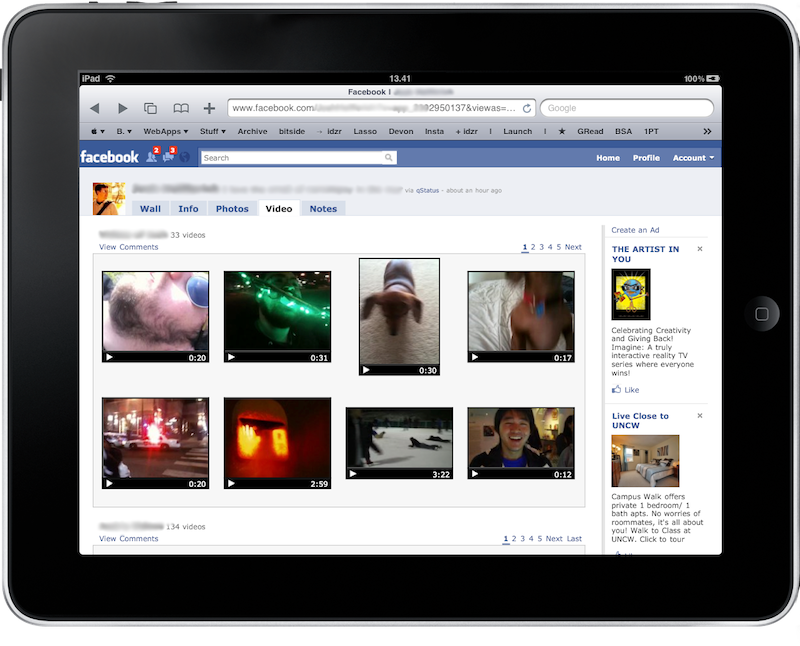 "In our tests this morning, it appears that Facebook isn't actually using HTML5 to display the videos. Instead, what appears to be going on is that Facebook.com is detecting that you've arrived to the website via the Safari web browser on the iPad. 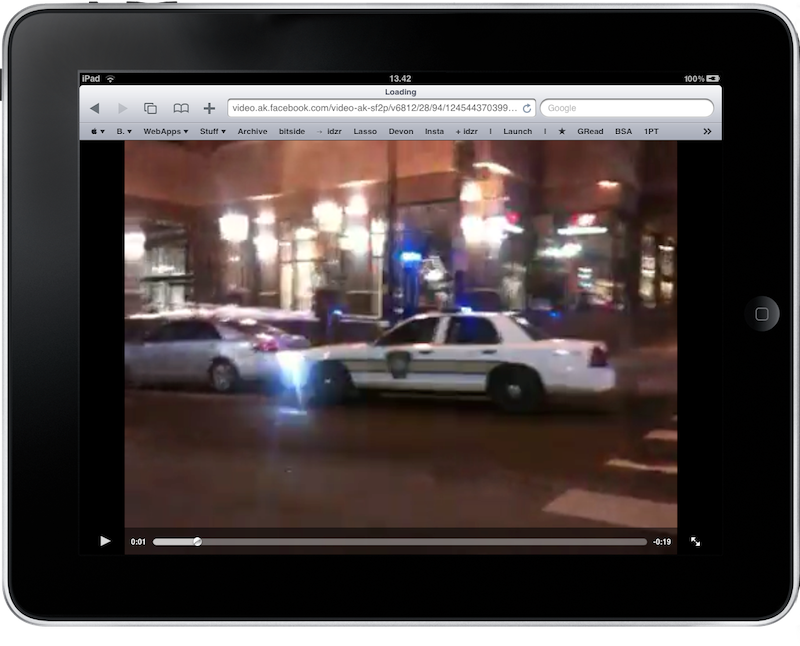 When you then attempt to play a video on the iPad, it doesn't play inline (something that would have been a clear confirmation of an HTML5 implementation). Instead, Facebook is linking out to the actual video, transcoded to MP4, a video format that plays on Apple devices. We confirmed this by uploading a video file to Facebook in WMV format (a non-iPad compatible video format) and then attempting to play it on the iPad. It played as an MP4 file." A welcomed change anyway, and thanks to RWW for the heads up.